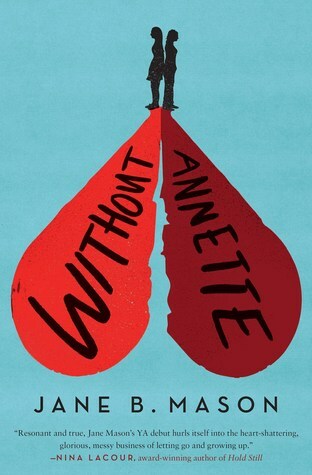 Josie and Annette are girlfriends who go away to boarding school together, and struggle as their relationship dissolves. Includes a subplot of a straight boy trying to convince one of the girls to give him a chance. Josie Little has been looking forward to moving halfway across the country to attend Brookwood Academy, a prestigious boarding school, with her girlfriend, Annette, for ages. But underneath Brookwood’s picture-perfect image lies a crippling sense of elitism that begins to tear the girls apart from the moment they arrive. While Josie struggles to navigate her new life, Annette seems to fit in perfectly. Yet that acceptance comes with more than a few strings. And consequently, Annette insists on keeping their relationship a secret. At first, Josie agrees. But as Annette pushes her further and further away, Josie grows closer to Penn, a boy whose friendship and romantic feelings for her tangle her already-unraveling relationship. When Annette’s need for approval sets her on a devastating course for self-destruction, Josie isn’t sure she can save her this time — or if Annette even wants her to try.